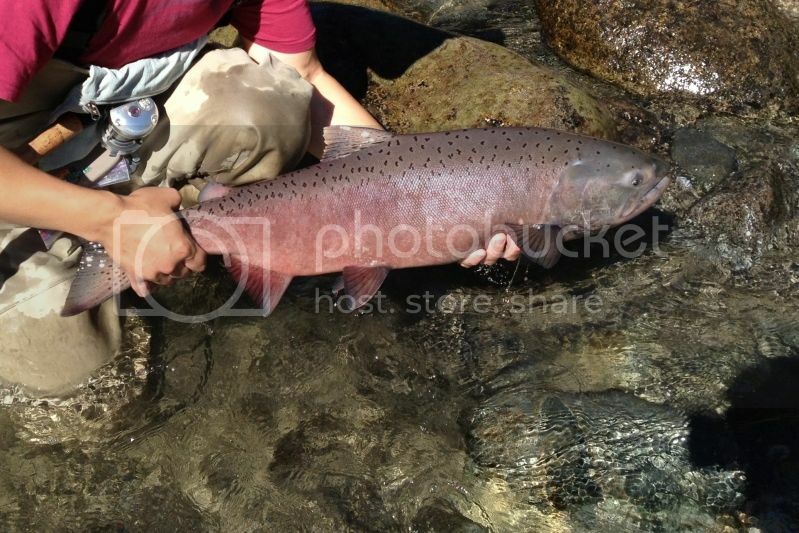 Btw - here is a photo of one of the fish that were released (from a couple of weeks ago). Thanks for the photo Stratocaster! Caught one about 12lbs on Jul 29th that was ocean chrome. turned out to be a white spring. Funny thing was it didn't look like one of the fall-run fish. Probably was an upper Fraser fish that lost her way. If I could figure out how to post a picture I would. It's the brightest Chinook I have ever caught in the summer in the Vedder. I up fishing the river this weekend and have had no luck this evening. I am still green so that might not help! the red spring run is over. gear up for white spring + coho is my advice.